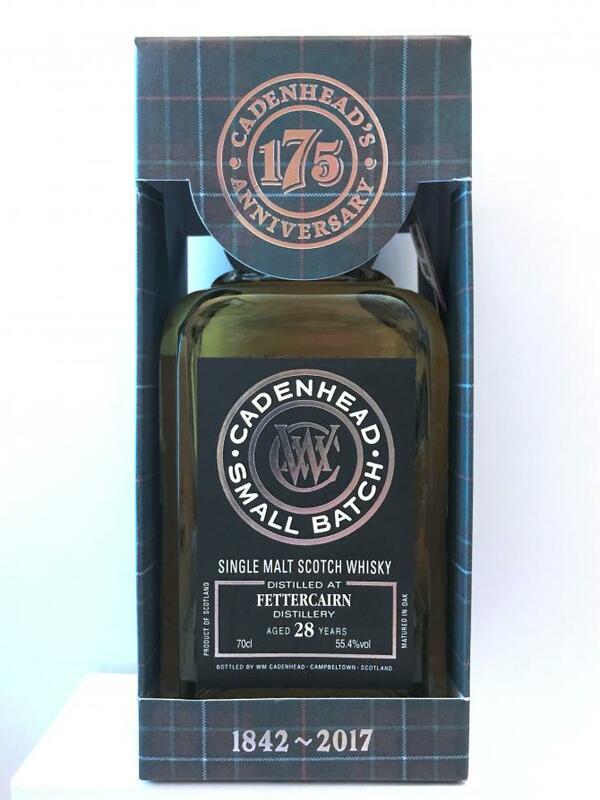 Tried it at two different Cadenhead tastings. I can not believe the first score I gave it, second time I am in the mid 80's. Very expressive nose, yellow fruits with dunnage warehouse notes. Ends very salty, with a long finish. sharp, focused, clean. Yet I must admit this was the first dram - I've just popped up one of these - let's see if these missing mandarines appear later on: I will increase my score then. 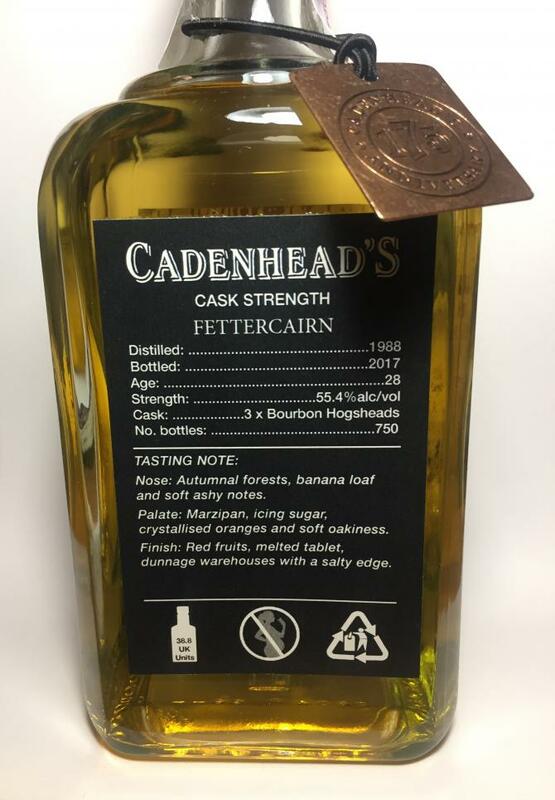 Amazing Fettercairn, far from its delicate/light reputation: a very good selection. Just starting to get into this one now the bottle's been open a few weeks. 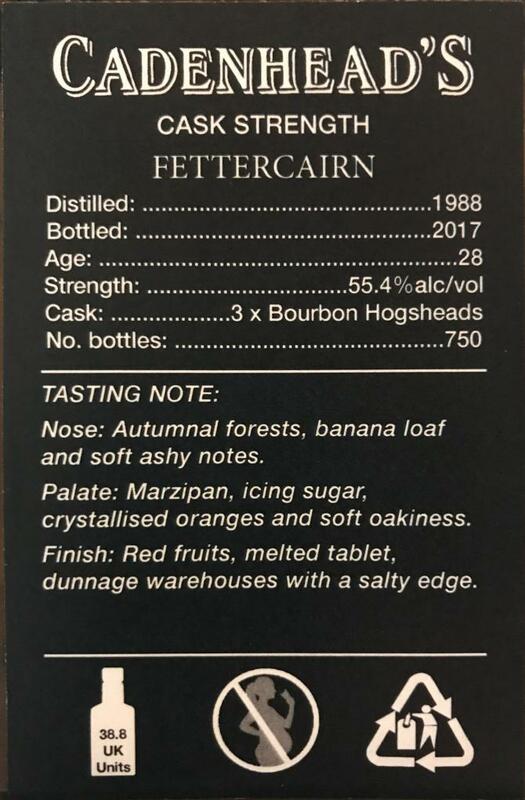 I admit I don't know Fettercairn as a distillery and this is my first tasting. 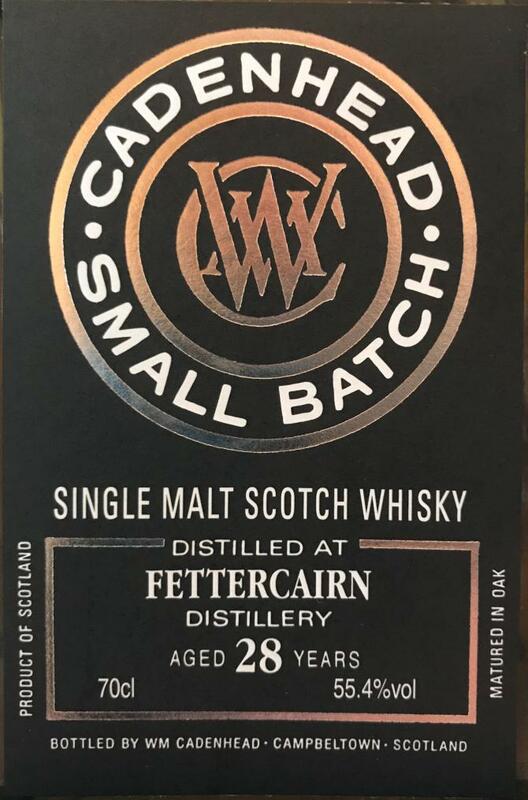 I'd heard not so good stuff about Fettercairn - but this one is rather good. At first I thought more sherry than bourbon cask. However - now it's an explosion of fruits, refresher sweets - the body is delicate/ light. It's perfume-like - clean, spirity. In the mouth it's sweet - but not cloying. It's fresh, mouth watering stuff with a good lingering length finish, with some fabulous spice from the wood. Intriguing whisky. Complex. Old school. From the nose I would have said refill sherry butts - quite oak driven - which personally I love. There is icing sugar like when you smell it and you get sweetness in the nose along with a spirity nip. The fruity esters are tight, an overripe banana/ custard combo almost rubbery/savoury (salad rocket leaves - with a bitter salty edge) – you have to ‘dig in’ to unpick it and get that it’s fruit notes. 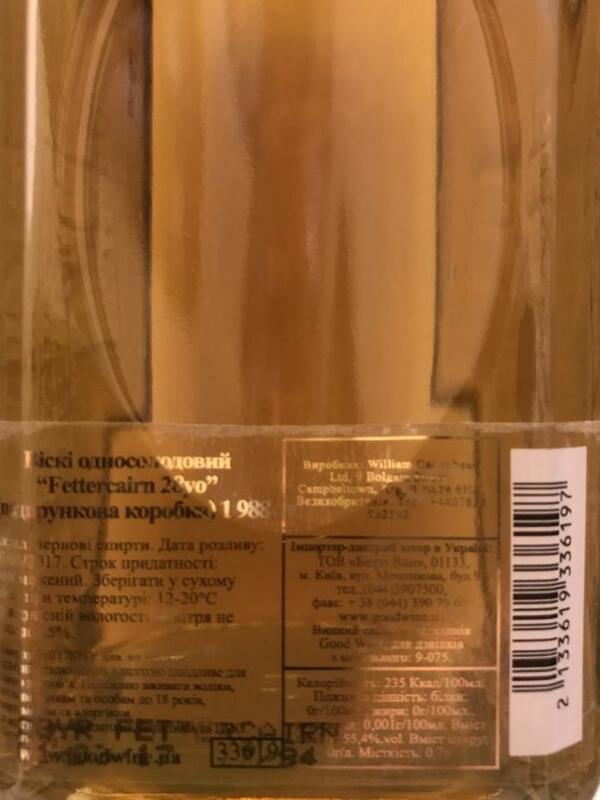 A touch of putty, earl grey/ bergamot – all wrapped in, on first opening of bottle: perfumed like eau de cologne mint (and the spirit/ alcohol accentuates this giving an impression of aftershave). 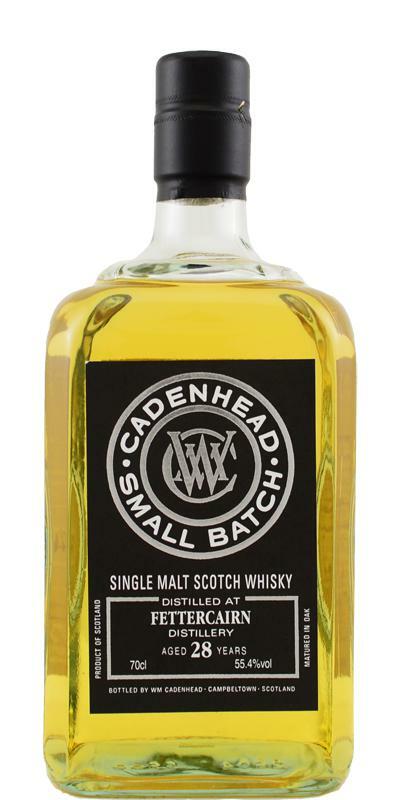 All balanced with damp wood notes – Iron / vitamin B tablets Mouthfeel is thin, spirity. It takes water well - this really opens up the sweetness, but it balance with quite a nip - heat, like wasabi, also a bitter edge develops. Fantastic oak spices linger in the finish. 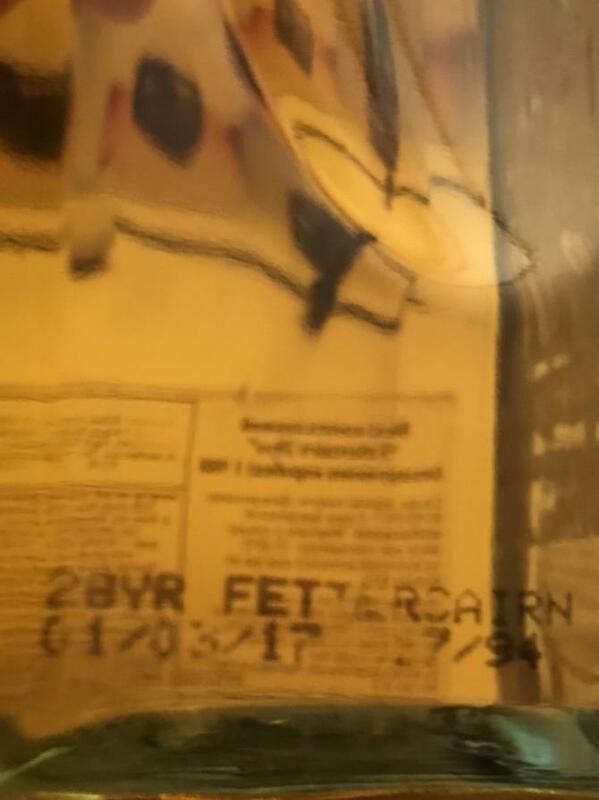 if you have a bottle and it's going to be hanging around, I'd recommend trying a nitrogen blanket once the level gets to the top of the label. Nose: Autumnal forests, banana loaf, and soft ashy notes. taste: Marzipan, icing sugar, crystallised oranges and soft oakiness. Finish: Red fruits, melted tablet, dunnage warehouses with a salty edge.